At a time when store margins are under intense competitive pressure, retail shrink can make or break a retailer’s bottom line. But retail shrink numbers are vulnerable to blind spots and imprecise metrics. In addition, most analysis and response to retail shrink are backward-looking: useful for staffing and long-term mitigation, but less effective in organizing real-time response or quick adaptation to new tactics in retail theft. Given these obstacles facing retailers today, do you really know how to manage inventory? In principle, retail shrink calculations are simple. Inventory management systems (IMS) capture data about incoming goods using RFID, barcodes, or manual checklists. By subtracting sales recorded at point-of-sale (POS) terminals, adding returns and adjusting for other inventory transactions, the IMS would ideally track sales-floor and back-room inventory at the SKU level. In the real world, SKU records often are incomplete and subject to distortion from a variety of sources, lumped together as “gross variance.” To reconcile these errors on their books, retailers conduct periodic or rolling physical inventory counts to calculate net variance. But this definition of retail shrink is what accountants call a plug, or reserve, number—it’s calculated, not measured. Shrink doesn’t really explain discrepancies between IMS data and physical inventories; it just provides a convenient accounting bucket to collect and reconcile losses that actually stem from multiple root causes – with unpredictable variation across stores, seasons, and regions. 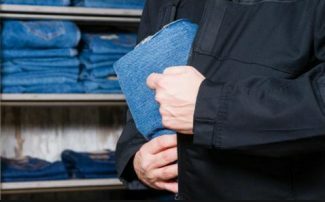 In addition to shoplifting and employee theft, inventory discrepancies can occur from administrative errors like incorrectly tagged merchandise, product substitutions, markups/markdowns, and other retail price changes, or vendor fraud. These are all difficult to measure, frequently underestimated, and difficult to correct. When retail shrink numbers conceal losses from vendor errors and substitutions, they block legitimate efforts at recourse. For example, markdowns of “phantom” inventory that is never available for sale underestimate actual losses, which may be many times the value of discounted paper losses. When “real” physical shrink takes merchandise off the sales floor without triggering replenishment, it can create frozen out-of-stock conditions that cost a store all the inventory turns on an item, until a physical count corrects the error and triggers replenishment. At a time when organized retail crime gangs raid specific categories and sizes, out-of-stock conditions are most likely with popular items—exactly the ones that will cause the most financial damage. Loss prevention has developed robust processes and technologies to deter or detect fraud and theft, often backed by enforcement and recovery. These include sales-floor surveillance, POS exceptions, theft deterrent devices, and EAS alarms at entrances, backed by exception-based reporting and analytics. These are valuable, but backward-facing, approaches. They give retailers limited ability to anticipate and respond in real time to organized retail crime campaigns or merchandise processing errors, untangle complex thefts like POS sweethearting, or identify long-term trends in merchandise targeted by thieves. Distorted IMS inventory records offer little help. Physical counts are badly out of date by the time they’re compiled and can’t be used to guide real-time, adaptive alarming or staff deployment. Inventory shrink metrics that fold in receiving shortages and other distortions obscure, rather than highlight, trends like the rise in organized retail crime. Lacking details of what is missing where, and at what times, loss prevention departments fall back on historical trends to make decisions regarding high-risk merchandise categories, stores, days and times, or security-camera views of the sales floor. They also lack information about the direct impact of their enforcement and remediation efforts. Operating without real-time data and item-level analytics, retailers do the best they can with their tools and budgets, but they don’t come close to solving the problem. Each solution is valuable in its own right—but together they deliver a new level of business intelligence. The integration of item-level RFID information and loss prevention data creates a real-time understanding of what, when, and how specific items go missing. We call this understanding shrink visibility, which gives retailers a complete picture of loss events—at the SKU level and in full context—at the moment they occur. Shrink visibility improves loss prevention effectiveness, and simultaneously corrects errors and gaps in inventory visibility. By integrating multiple store technologies and databases, shrink visibility delivers a more intelligible, accountable, and ultimately more profitable retail environment. For example, consider how shrink visibility could help a big-box electronics store address the systematic theft—with possible insider assistance—of high-value consumer electronics. Using item-level RFID information to augment alerts from its EAS-based LP system, the retailer can set its loss prevention platform to alert staff whenever the number of tablet computers leaving the store crosses an hourly threshold. By setting alarms to trigger video captures of POS scans and store exits, the store can know when, where, how often, and in whose hands every item is leaving, so the LP team can dig into root causes of losses instead of chasing after symptoms—and even use images of thefts in progress for use as evidence at trial. Capturing quality data in real time enables predictive, analytics-based strategy and response—at the exit, in receiving, and on the selling floor. Automated processes up and down retail supply chains are accelerating purchasing cycles, reducing receiving delays and costs, and helping to distinguish in-store from supply-chain retail shrink. Small process adjustments—like integrating SKU-level information into Advanced Shipping Notices, for example—can automate accuracy checks on receipts and accelerate vendor recourse for any discrepancies. More sweeping changes such as vendor-managed inventory agreements offer even greater savings, but require high-quality information about the source and scale of any loss. Addressing retail shrink on the sales floor—especially in high-risk areas with limited staff visibility—is a persistent challenge for loss prevention. Thieves use quiet corners of stores, areas with tall shelves, and fitting rooms to remove EAS tags and labels, conceal items, and stage merchandise for later theft. Staff video surveillance and public-view monitors improve visibility and deterrence, but can’t offer SKU-level information about item movement that LP staff need to anticipate and intercept a theft or staging event. RFID-enabled item-level tracking in critical zones—high-margin “boutiques,” consumer electronics and media, and secluded areas like fitting rooms—gives loss prevention a powerful tool to analyze the process by which organized retail crime gangs stage merchandise within the store for later concealment and removal. For example, movement of ten identical SKUs of high-end jeans from a designer’s boutique to a fitting room or the sporting goods department is a tip-off to the LP team that an organized retail crime event may be in progress. Many forms of retail fraud depend on collaboration between an “outside” thief and an employee staffing a POS terminal; it’s one reason front-of-store video surveillance often covers checkout stations as well as store exits. But video alone can’t detect paperwork-based crimes. Detection of sweethearting and related crimes requires integration of information across item-level tracking, POS, and possibly video systems. Comparison of item-level and POS data can detect the crime; real-time solutions that allow hard-tag detachment only after items have been scanned can prevent it; and video-capture integration can identify the outside thief as well as the corrupt or compromised employee. Adding RFID capability to EAS exit pedestals produces dramatic improvements in loss prevention. RFID tags can detect individual items leaving the store without proper transactions, and trigger video captures to deter future losses and collect evidence against suspected thieves. Improvements in inventory visibility are equally dramatic. Item-level data from merchandise leaving the store, correlated with tag or barcode reads from POS terminals in the immediately preceding time period, reliably measures total decrement from inventory-on-hand. Basing replenishment on total lift instead of sales keeps planned levels of inventory on the floor and avoids out-of-stock conditions due to undetected retail shrink. Exit reads uncorrelated with preceding POS reads reflect actual retail shrink —errors and theft. And because this is an actual measurement rather than a plug number, the information isn’t obscured by other kinds of inventory distortion. And data from RFID tags on returned goods can be checked against POS data, reducing opportunities for merchandise substitution and other forms of return fraud. Retail stores can start their move toward shrink visibility today to achieve rapid improvements in the ways they protect merchandise and manage inventories. By combining proven technologies, retailers can gain important visibility into theft events by opportunistic shoplifters or organized retail crime teams. They can restock or reorder stolen items to prevent out-of-stock conditions. They can identify offenders using information shared across stores, within their own organization or with consulting, retail, or law enforcement partners. And, they can mine the data to identify trends, and change their loss prevention processes to prevent or mitigate future incidents. Shifting efforts from a reactive to a real-time predictive, information-based approach will multiply retailers’ loss prevention effectiveness–thereby managing inventory, improving operations, maximizing sales opportunities, and improving profitability. This article was first published in 2012 and updated July 12, 2018.